The future of luxury driving is found in the BMW 7 Series. The 7 Series reaches a new height in the world of technology, performance, and comfort while offering a seamless luxury experience for both drivers and its passengers. Let’s discuss two innovations you will find in the BMW 7 Series. Remote Control Parking – The days when you have to skip those tight parking spots are finally over. A new way of parking can be found with the Remote Control Parking function. Through the BMW Display Key, drivers can remotely move their 7 Series forward into, or reverse out of a snug parking space or garage. The driver can activate the remote-controlled parking functions from outside the vehicle. 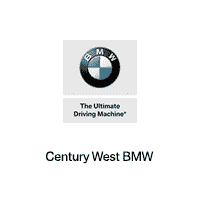 BMW Display Key – The BMW display key offers various information about the status of their 7 Series as well as selected functions that can be controlled via the touch display. You're able to access information about your fuel level, current range, central locking system, and more. The Display Key can be charged with the included USB cable or wirelessly. How’s that for convenience?